With the start of the new year, gyms around the world have experienced a surge of new memberships—people who’ve decided to dig in their heels and finally take control of their fitness. But as the months go on, gym attendance will wane and diminish until next year’s resolutions. So—why is it that so many people struggle to stick to their exercise plan? What happens in the months that separate the initial excitement and the later concession to resignation? Most importantly, is there a way to improve the chances for success with a workout plan? The answer is a resounding YES! Below are some of the most effective tips for turning your tentative plans into concrete habits. Even if you’ve tried and failed before, there is hope. As you think about the future of your fitness, incorporate these guidelines to ensure the greatest chances for success. For many people, fitness means looking a certain way or impressing the right people. 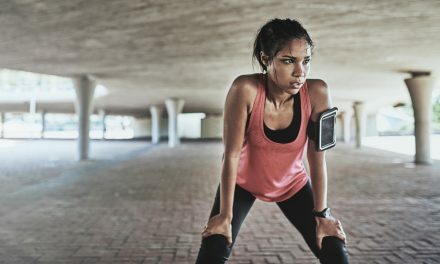 Studies show that when your motivation for exercising is “external”—meaning you’re doing it for them rather than for you—the likelihood of sticking to it diminish greatly. On the other hand, those who have decided to improve their well-being for themselves —to improve their quality of life, raise self-esteem, etc.—are much more likely to succeed. The phrase ‘accountabili-buddy’ has become common parlance in today’s fitness circles. Working out with a friend has many advantages, not the least of which is it makes the whole endeavor more enjoyable. But the benefits don’t stop there. Having someone else involved in your workout plan will give you an extra—and for most of us, much needed—level of accountability. If you don’t have someone who can join you at the gym, that’s ok. Even sharing the results of your workout—your progress or areas for improvement—can also serve to help you stay on top of your goal. There are many fitness-tracking apps that allow you to share your stories of success and hear the stories of others from your community. One of the biggest reasons workout plans fail is that we try to do too much too fast. Remember—when it comes to real fitness, there are no quick fixes. Thinking that you can make drastic changes in a short amount of time can lead to dangerous, unhealthy practices in the worst of cases, and feeling like a failure in the best. It’s important to remind yourself frequently that achieving your goals will take time and consistency. Instead of focusing on the finish line, set up small, achievable goals that you can celebrate along the way. Avoiding monotony is a key ingredient to productive long-term plans. Switching up your normal workout for something new and different is a great way to ensure attention is given to all of your muscles and not just over-working the same ones time and again. But it also serves to keep things interesting! If you normally stick to the treadmill or stairmaster, give free weights a try. 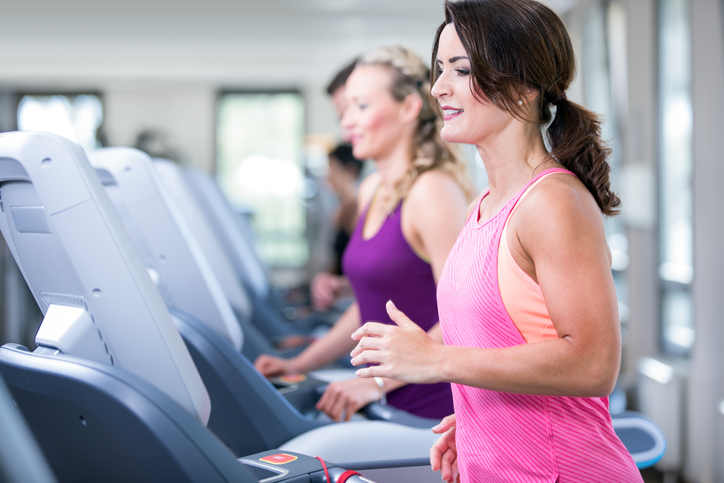 Or, if you’re always pumping iron, try introducing a little more cardio by swimming or jogging. This will not only complement your regular workout, but will also help you avoid feeling burned out or getting bored of the same routine. Fitness experts and doctors agree that ideally we should strive for about 150 minutes of exercise per week, normally distributed in 30 minute intervals five times a week. And while certainly work and personal life can have a strong hold on our life, making it seem like there just isn’t enough time in the day to fit in a quick workout, this is almost never truly the case. More often than not, when we take a closer look at our daily habits, we’ll notice that much of our time is squandered away on things like social media. Finding the time might mean reigning in the time we spend on our phones and computers. If you still can’t make it work, consider getting creative—split the 30 minutes per day into two fifteen minute intervals in the morning and at night; bring some free weights to work to use during your lunch break. Understand that habits take a long time to form. Don’t expect yourself to immediately take to regular exercise—in fact plan on it being hard! Having these realistic expectations will help you overcome the resistance you encounter when the going gets tough. Every time you stick to your plan despite the difficulty, you will reinforce that exercise is a priority, helping form a psychology connection that will, overtime, make working out as much a habit as brushing your teeth. While the ultimate goal is for hitting the gym to be a constant, consistent endeavor, you shouldn’t punish yourself for missing a day, or even a week. While skipping the gym can definitely set you back in your plans, it isn’t nearly as detrimental as the castigations we sometimes submit ourselves to. Be patient with yourself; don’t expect perfection (you’ll be sure to disappoint!). Music is a powerfully emotive tool for staying motive. 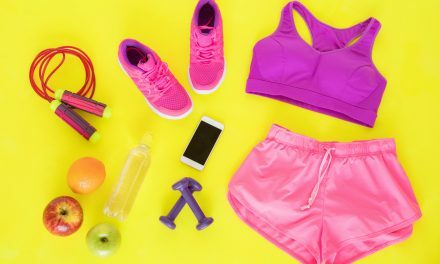 Whether it’s the Rocky theme song or your favorite musical, listening to music that uplifts and inspires you can turn your gym time into an adventure! Studies show that the kind of music you listen to isn’t really what matters, but generally upbeat and fast-paced, as you can match your body to the rhythm. As you embark, or re-embark, on your fitness journey, experiment to find the combination that works best for you. Be patient. It might take a while before you figure it out. Getting angry with yourself or indulging in feelings of failure will only set you back more. Never forget the old refrain: If at first you don’t succeed, try try again.